Agua Oveja Viewpoint in Cofete. 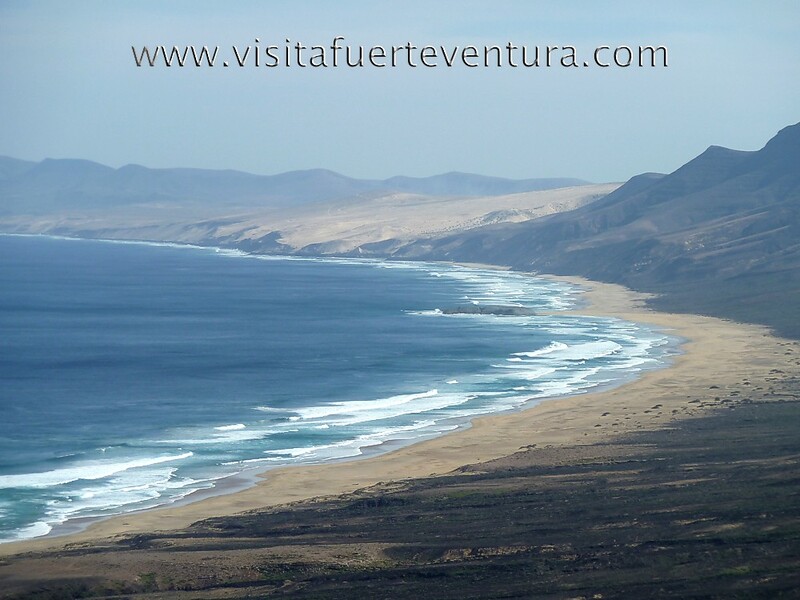 Places to visit in Fuerteventura. 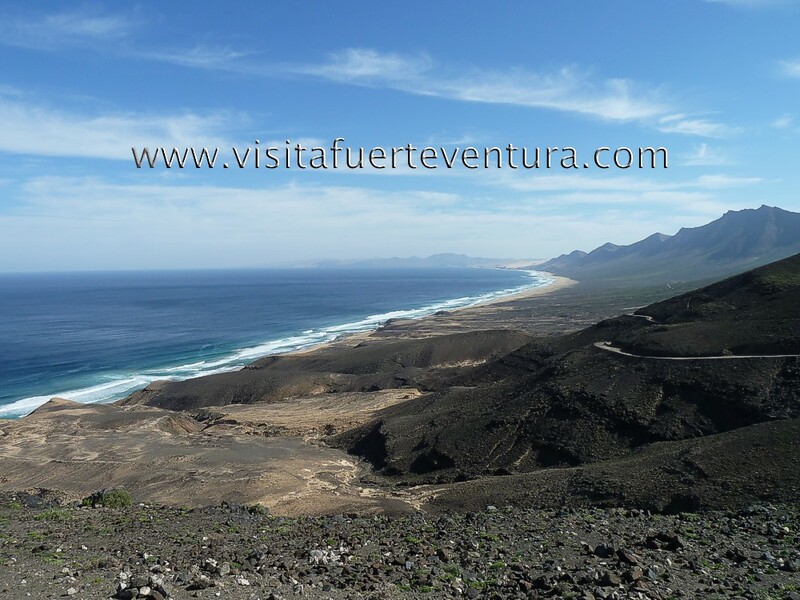 One of the most beautiful and wild places of the island of Fuerteventura is the Cofete beach, located on the southwest coast of the island, in Jandia Natural Park and that because of the difficulty in access remains well preserved . 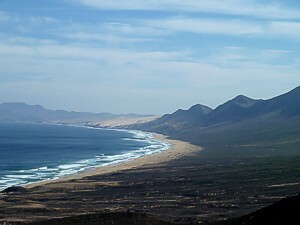 This beach of more than 9 kilometers long, are protected by the Jandia massif, the highest mountains of Fuerteventura (Pico de la Zarza, 807 m). 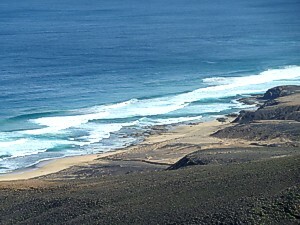 Water Sheep Ripper (Agua Oveja Viewpoint) is 230 meters high and from here we get one of the "most typical photos in Fuerteventura": Cofete Beach. 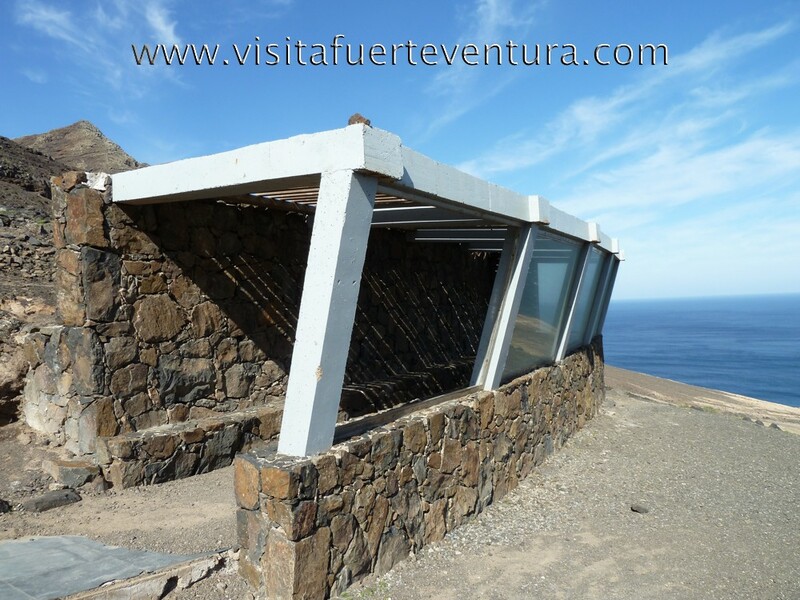 To get to this viewpoint, we must take the road from the village of Morro Jable (and near the Marina), and is indicated (COFETE - THE PUERTITO). Following this path, (which in some places his condition is bad), and 8.5 km., We find a detour to the right (COFETE). From this point, the road climbs into the mountains and is very winding and the pavement is not good. 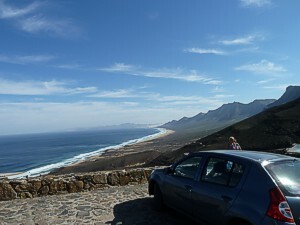 At about 2 km., We find this viewpoint. It has a small forecourt parking, an information poster about the area, and a covered building to sit and enjoy these magnificent views. Beyond the beach Cofete, from here we can see the Pico de la Zarza, the small town ofCofete, founded in 1800, and also the famous Winter House, full of legends about spies, Nazis and was owned by Gustav Winter, a German who had leased the entire peninsula of Jandia and built this house in 1946. This whole area is of special conservation interest of both birds and wildlife. It is advisable to make this visit in a 4x4 car, but it can be done with a normal car, withcaution. Highly Recommended visit although the road is difficult.